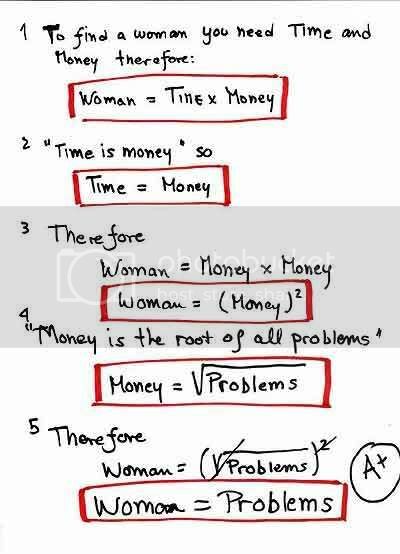 Disclaimer: I take no responsibility caused by this equation done by someone else which is found somewhere on the sea of internet. It's purely for entertainment and please no offence. I got it in email. I thought i'd put it here.